What a meticulous finish for a classic look on this 1977 Early Ford Bronco Half Cab. This 1977 Early Ford Bronco Half Cab is fresher than the showroom floor with PPG custom paint, Pacer wheels and a hand-built interior roll cage. Just look at the attention to detail with period-correct factory heat, Retrosound head unit, and reconditioned dash and seats. 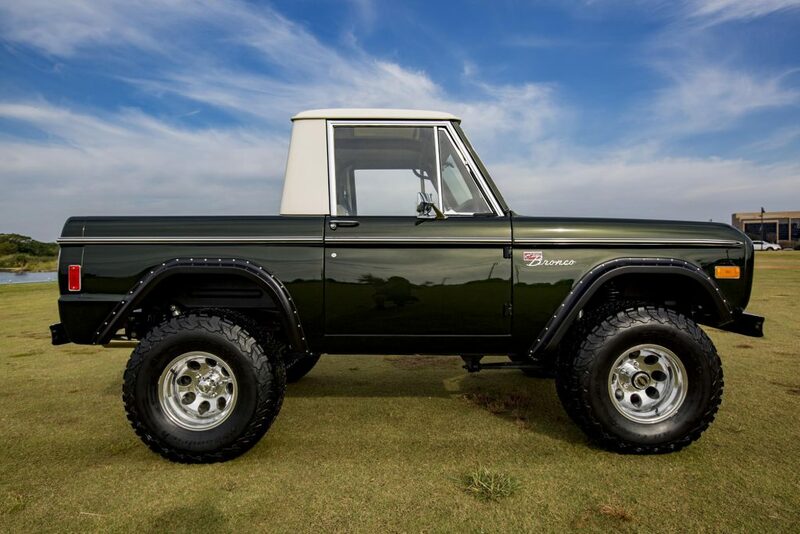 For Early Ford Bronco enthusiasts like us, this shimmering example is what it’s all about!